In 1910 Korea, long under Japanese military occupation, was formally annexed by Japan. North and South Korea have been divided more or less along the 38th parallel since 1948. This flowed from the 1945 surrender of Japan and the decision that the United States would have trusteeship of Korea to the south of the parallel and Russia to the north. It was also decided that the United States would accept the surrender of Japanese armaments south of the 38th parallel, Russia of those to the north. Russia was North Korea’s principal supporter, a role later to shift in great measure to Mainland China. The United States was and remains South Korea’s. The Korean Conflict began on June 25, 1950 with an attack on the Onjin peninsula, part of South Korea but accessible by land only through North Korea. At first assumed to be merely a provocative feint as had happened before, it wasn’t. The conflict was not anticipated by the United States; it should have been. Dean Acheson, the Secretary of State, had only months previously delivered a speech listing the countries which the United States would defend if attacked; South Korea was not on his list. The United States had only a minuscule contingent of military advisers stationed in Korea and her forces in Japan were principally non-combat garrison forces, ill trained and ill equipped to go to war. Troops from the North invaded in great numbers, crossing the parallel at numerous points with troops, tanks and aircraft. The equipment was principally of Soviet origin. They quickly took Seoul and points far to the south; there was little defensive capability, in part because the United States had declined to arm the South Korean military with adequate weaponry lest the South attack the North. The United States military was also in poor shape. Following World War II, the United States had cut her own defense spending “to the bone and through the bone.” Military preparedness was low. The few United States forces in Korea, augmented slightly by garrison troops stationed in Japan, retreated to form a southern defensive perimeter at the southern port city of Pusan. Massive efforts to reinforce the United States’ troops there were made, including the calling up of reserves to fill billets vacant due to the staffing of military units in the United States at below even normal peacetime levels. Nevertheless, only three months after the North Korean invasion, General MacArthur’s highly chancy but incredibly successful September 15, 1950 Inchon naval invasion was made. It is worth remembering today that China did not enter the conflict in force until her own border was approached. Her own interests were paramount and remain so. The deadly winter retreat of the United States and South Korean forces over and through harsh mountain terrain from the Yalu River back to the 38th parallel followed. The history of the Korean Conflict is well known and in the end an armistice was reached. North and South Korea remain in a technical state of war and a new conflict has been brewing intermittently ever since. For about two and one half years during two tours of duty between 1967 and 1970, I was stationed in Seoul as an Army JAG officer. There were then approximately fifty thousand members of the U.S. military in South Korea. Now, there are almost twenty-nine thousand. The Pueblo crisis of 1968 occurred while I was there and a Korean airlines flight was hijacked in 1969. I recall being on a Korean Airlines flight from Seoul south to Taegu a few days after the hijacking when, shortly after takeoff, the aircraft made a sharp turn back to the north. There were lots of very relieved passengers when the pilot announced that we were returning to Seoul’s Kimpo airport due to an engine problem. During this same period, North Korean aircraft frequently made passes at the border, sometimes briefly penetrating South Korean airspace but more often turning back before doing so. The obvious purpose was to desensitize South Korean and United States defenses to an eventual air attack. Seoul, the capital city of South Korea, is approximately twenty-five miles south of the border. Pyongyang, the North Korean capital city, is approximately 85 miles north of the border. It takes little time for a fast aircraft to fly twenty-five miles from the border down to Seoul and less for missiles. Then as now, there would be insufficient time for effective defensive counter measures to be taken against a surprise attack. These things are relevant to the present confrontations because they suggest that the current mess will probably continue and that there is little we can do about it; there is even less that we will likely do, in part because we increasingly rely financially on North Korea’s principal supporter, China; China still acts based on her own perceived interests and beyond that is not likely to do much to help anyone. Over the past forty years since I was there, and indeed since 1950, some things have changed — Kim Il-sung died in 1994 and was replaced by his son, Kim Jong-il, who is ill and is being displaced by his son, Kim Jong-un, the twenty-seven year old “young (four star) general.” The brilliant young general is not among the very brightest. Still, the charade goes on. China remains a big but somewhat worried supporter and the North Korean masses remain impoverished. Due to the Japanese occupation from before 1910 until the end of World War II, the division of Korea following the war and then the Korean Conflict, there are very few if any still living in North Korea with even memories of better times. They remain subjugated and few have more than scant hopes — or possibly even wishes — for better. The hereditary ruling civilian and military classes live in luxury. South Korea, in stark contrast, has become a thriving and relatively democratic country. There have been various recent North Korean acts of aggression. At the same time, North Korea constantly continues, with active Chinese diplomatic assistance, to invite the US to resume the talks on Pyongyang’s nuclear and missile program, in exchange for economic benefits and lifting of the sanctions. It’s easy to see what the North Korean leadership aims to achieve via this belligerent brinkmanship. The main target is to create a situation whereby the sanctions are lifted and Pyongyang receives an immediate and significant supply of food and fuel, before Pyongyang ever commits to curbing its military nuclear program, and before International Atomic Energy Agency inspectors are ever allowed to return to North Korea. Although Secretary Clinton announced that the sinking of the South Korean ship would have consequences, they seem not to have had much effect. The South Korean island shelled by North Korean forces on November 23, 2010 had more than five hundred residents. The island is located just south of the 38th parallel. A statement carried by North Korean state media said Pyongyang “will wage second and even third rounds of attacks without any hesitation, if warmongers in South Korea make reckless military provocations again.” North Korea has become “the UN’s problem from Hell.” It has also become the “problem from Hell” for the residents of the island. The elderly woman interviewed in the video below said that she was very angry. “North and South Korea are the same country!” Why, she asked, would they attack? A surprise missile attack on Seoul, with approximately ten million residents, would be far more dramatic and devastating; it could certainly occur. North Korea has lots of missiles and certainly knows how to use them. Some are thought to have chemical warheads. The United States dispatched the aircraft carrier George Washington and its accompanying flotilla, scheduled to arrive on November 28. The participation of the aircraft carrier strike group, which includes 75 aircraft and 6,000 sailors, was agreed upon by U.S. and South Korean leaders, according to the presidential offices in both countries. By sending in the USS George Washington carrier to conduct joint exercises with South Korea, Mr. Obama is risking an eyeball-to-eyeball confrontation with China. In recent months, top Chinese military officials have warned the United States not to send ships or planes into the Yellow Sea. They have even promised financial retribution. China feels even stronger now as the US economy remains dormant with American consumers less dominant as buyers of other nations’ exports. The Chinese economy recently surpassed Japan’s and is second in size to America’s. And it watches with anticipation as Obama tries to cut the US military budget. Will those cuts occur as scheduled? China has become the bank increasingly relied upon by the United States, but it is not a friendly local bank; it’s officers are not members of the local Lions Club. Foreclose on the mortgage? Demand cuts in military spending? That would not be nice. Still, President Obama wants China to do something. The message is that if you want something done in the region, talk to China. Washington’s utility has been reduced to a spokesman of the delegation to China. But the real gears turn in the Middle Kingdom. Therefore, it would not be surprising if one day the allies simply recognized that the US Secretary of State was an unnecessary and superfluous intermediary between themselves and the real audience. Logically the next step is to deal directly with the Chinese leadership in Beijing. The US has been dealing itself out its global commitments. Whether that is good depends on your point of view. One thing that is undeniable, however, is that an American retreat will have consequences, ones that will not be easily reversed. “China wants to see peace, cooperation and dialogue on the Korean Peninsula.” Mr. Tsang also thinks that China may someday and to some extent emulate Hong Kong’s form of democracy.” Let me put it this way. We are still in a stage of transition. We are still debating on what the eventual, ultimate system should look like. Therefore, the coming 10 years or so will be a challenging period for us,” he said. At the invitation of South Korean Foreign Minister Kim Sung-hwan, Tsang will begin a five-day visit to South Korea later on Thursday [November 25]. While in South Korea, Tsang will visit the National Assembly and meet with Park Hee-tae, speaker of South Korea’s National Assembly. Hong Kong is moving towards a democratic government system. I believe there is much we can learn from South Korea in that aspect,” he said. Despite the successes in Hong Kong, I rather doubt that China has much present desire to move the mainland very far toward any form of democracy, but most anything is possible. recently, the [North Korean] military appears to be increasingly asserting itself on policy matters. In the past two years, military organs such as the Supreme Command of the KPA [the “People’s Army”] and the National Defense Commission have been issuing policy statements directed toward the outside world — something that was mostly done by the foreign ministry in the past. More frightening is that there are reasons to believe that the military has become so emboldened and powerful that Kim Jong-il may no longer be the absolute leader who calls the shots in Pyongyang. For one, the Dear Leader’s physical and mental capacity has been declining — he reportedly suffered a stroke in 2008 and has grown frail since then. His third son and heir apparent, Kim Jong-un, lacks military credentials (although he recently and arbitrarily was elevated to the rank of general), and has to prove to the military that he has what it takes to be the next dictator-in-chief. That may explain why the Kims recently toured the base from which the shelling took place, to rubber-stamp the attack. According to this report, the Kims toured the base just hours before the attack. The Young General may have issued the formal order. policy of “strategic patience” with North Korea is having little impact on the regime, which is focused on the transition of power from Kim Jong-il to his son, Kim Jong-un. Pyongyang’s provocative moves are clearly designed to force the U.S. back to the negotiating table, where North Korea hopes to obtain food aid for its starving population as well as security commitments, experts say. The masses are indeed starving, but that is likely irrelevant as far as the North Korean oligarchic regime is concerned except as it can conveniently point to them and demand humanitarian aid. These may be worthy objectives for a Peace Corps; to focus on them for the military ignores its basic historic function — to kill people and to break things. Yet that is what President Obama does, and a weak president with an excessively rosy world view is an invitation to those who don’t share his views to do monstrous things. They can probably get away with it, so why not? Rules of engagement? Ours are quite different from those of many others. Pyongyang has sent a consistent message that during direct talks with the United States, it is ready to conclude an agreement to end its nuclear programs, put them all under IAEA inspection and conclude a permanent peace treaty to replace the “temporary” cease-fire of 1953. We should consider responding to this offer. The unfortunate alternative is for North Koreans to take whatever actions they consider necessary to defend themselves from what they claim to fear most: a military attack supported by the United States, along with efforts to change the political regime. Various aid proposals have been made. Any of them would work as well as others did in the past; not at all. North Korea is a heavily militarized state with the fifth largest population under arms. They seem fit and able to fight; the huddled masses don’t much matter beyond providing for the military and for the leaders. Can they fight as well as they have been trained to march? I hope South Korea, and we, don’t find out but that may happen. We have not got it right for a very long time and have succeeded consistently in little more than self delusion, inadequate intelligence and unfounded hopes that things will change for the better. There is plenty of blame to go around for the current sorry state of affairs regarding North Korea’s nuclear program. But moving forward necessitates that the Obama administration once and for all abandon the longstanding myth that the Kim regime can be persuaded to relinquish North Korea’s nuclear weapons in exchange for the appropriate package of incentives. This will not come easily to an administration predisposed to “negotiations.” Moreover, such truthfulness will require the accompanying political will on the part of the United States to undertake the risks associated with refusing to acquiesce to Pyongyang’s provocations. This is a decision that no U.S. political administration has been thus far willing to undertake to thwart North Korea’s nuclear program. pull American troops out of South Korea. American military power is no longer needed in South Korea, at least not in the purely balance of power sense. In fact, the American military presence along the DMZ with North Korea only serves to constrain our initiative. Instead of doing what’s best for U.S. national security, acting to dismantle the North Korean nuclear weapons program, we are hobbled by our alliance with the South into not doing anything that might provoke the North. Maybe, but I don’t think it’s a great idea right now. True, our troops seem to serve little useful purpose other than as hostages to North Korean whims. There is not much they could do to prevent a sudden attack, and Seoul with some ten million people could easily be reduced to rubble by air attack or even missiles — without nuclear weapons. North Korea would likely be destroyed in retaliation. That sort of war is probably not in the cards. The South Korean troops are far better trained and equipped than in 1950; they are pretty tough and were quite effective in Vietnam. Most of the operations never exceeded battalion-size, but they also conducted divisional size operations. Before conducting missions, the South Korean marines laid out their plans much more carefully than their allies, with greater fire discipline, effective use of fire support, and better coordination of sub-units. They also had to their favor the distinguished combat leadership of the company and platoon commanders. During village searches, ROK soldiers would subject the settlement to a series of detailed sweeps while interrogating subjects on the spot. By comparison, American units tended to favor a single sweep followed by a removal of all civilians for screening. Such a painstaking approach certainly paid dividends in terms of weapons seizures and reduced VC activity in ROK areas. Koreans quickly learned pidgin Vietnamese language; for fear that most Vietnamese translators were spies for Vietcong and NVA. Koreans also had better field intelligence than their American counterparts. Koreans conducted counterinsurgency operations so well that American commanders felt that the Korean TAOR (Tactical Area of Responsibility) was the safest. This was further supported when Vietcong documents captured after the Tet Offensive warned their compatriots to never engage Koreans until full victory was certain. In fact, it was often [said] that the NVA and Vietcong were ambushed by Koreans and not vice versa. 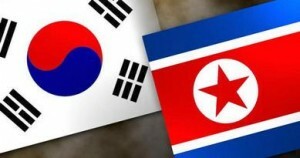 On November 25 South Korea announced substantial augmentations of forces in the currently apparent danger areas. At an emergency meeting in Seoul on Thursday, Mr. Lee [the president] ordered reinforcements for about 4,000 troops on tense Yellow Sea islands, top-level weaponry and upgraded rules of engagement that would create a new category of response when civilian areas are targeted. Still, our troops in Korea probably provide some useful reassurances to South Korea and other allies (if we still have some) and that’s important. Right now is probably not the best time to withdraw. It is a mistake to focus primarily on the nuclear threat North Korea poses to the South; she could do horrific damage there without them and would have little reason to waste them; they are more useful to barter with other hostile countries, such as Iran. It does not seem credible that the United States would respond with nuclear weapons to a non-nuclear attack. The far more important danger lies in Iran, which is arming other hostile countries including even Venezuela. China and Russia are both establishing and strengthening military ties with Venezuela. [T]he combination of crazy leadership, nuclear weapons and missile capability inevitably makes people nervous. Which raises, once again, the question why the Obama administration apparently views the acquisition of nuclear weapons by Iran with equanimity. …. The acquisition of nuclear weapons by Iran is much more ominous than North Korea’s development of a nuclear arsenal. As I’ve argued for years, North Korea is essentially a status quo power, albeit a somewhat erratic one. The regime isn’t out to change the world; it just wants to survive and enrich itself. Iran, by contrast, is a revolutionary power that seeks to transform its region and to eradicate at least one of the states in the area. That state happens to be a traditionally close ally of the U.S. It now seems highly likely that North Korea has been selling missiles to Iran “potentially giving the Islamic nation the capability of attacking Moscow and cities in Western Europe.” It also appears that China has been complicit in the North Korea-Iran trade. Who woulda guessed? It’s up to the United States to plot a course to navigate in her own interest among the shoals of China, North Korea, Iran and their friends rather than seek to rely on China to do it. China’s interests are very different from those of the United States and the Obama Administration really does need to recognize those differences and their extent. In large measure, “it’s the economy, stupid,” in international relations as well as domestically. It is unrealistic to expect China to continue indefinitely to bail out the United States. China profits, far more than financially, from our subservience. We will continue to be in a muddle no less perplexing for the foreseeable future until we recognize these facts and proceed in accordance with our own best interests — something we seem only rarely to do. Dan, this is an excellent article. I hope everyone will read it because the situation with North Korea is a ticking timebomb, but we’re distracted with so many other things that it’s below the horizon for most people. As you point out, one of the important factors in causing the Korean War in the 50s was our defining South Korea as being outside U.S. primary security interests. That emboldened North Korea to try to conquer South Korea, supported by China and, to a lesser extent, the Soviet Union. This war is sometimes thought of as “the forgotten war,” but soldiers who fought there have never forgotten it. It was as hard and brutal as any war has ever been. It’s sad that history doesn’t give it the emphasis it deserves, or at least the limited history taught in schools today. Many are appropriately worried that North Korea may use WMD, and particularly nuclear weapons, in a future attack on South Korea. However, that’s not the only way the North could defeat the South, particularly if the U.S. and other nations don’t choose to fight an all-out war. The North Korean army (the KPA) doesn’t just look tough; it is tough. If joined by the Chinese army (the PLA), which at this point looks pretty unlikely, it would be very difficult to prevail over them. Just ask anyone who fought in the Korean War. Just like the first time, I don’t think there would be any way for the U.S. to avoid defending South Korea. That means it could get very nasty. And if the North uses even one nuclear weapon…. North Korea has added more multiple-launch rockets capable of hitting the South Korean capital, a military source said Friday, amid heightened tensions over the North’s fatal artillery attack on a South Korean island. The North’s rockets and long-range artillery, capable of raining down shells on Seoul, which lies about 50 kilometers from the heavily armed border, are the biggest defense concern for South Korea. With an effective shooting range of 60km, parts of the multiple-launch rocket system can fire 12 to 22 five-meter-long rockets, according to the source. The [unidentified military] source didn’t say whether the new multiple-launch rockets were deployed near the border with South Korea. Seoul and its neighboring areas are home to nearly half of the South’s 50-million population. Opinion polls show that a greater percentage of South Koreans prefer military action against the North than did following the sinking of the South Korean ship Cheonan in March that cost the lives of 46 sailors. That sentiment was reflected by President Lee Myung Bak’s choice for defense minister when he said today that South Korean jets will bomb North Korea should Pyongyang stage an attack similar to last week’s deadly artillery barrage. Kim Kwan-jin, told a parliamentary confirmation hearing that South Korea will use all its combat capabilities to retaliate. Kim Jong Un is following in his father’s footsteps. In 1968, North Korea captured the USS Pueblo, a Navy spy ship, and North Korean commandoes attacked the South’s presidential residence. Kim Jong-il was gradually being groomed for eventual succession at the time of the Pueblo incident. However, he was then twenty-six years away from succeeding his father and I have found nothing to corroborate the notion that he was directly involved in the 1968 incident. Kim Jong-il had become Party Secretary in 1980 and was generally seen as his father’s successor by 1982. In 1991, he became the Supreme Commander of the North Korean armed forces. He did not take over from his father Kim il-Sung until 1994 when the latter died suddenly. A PhD dissertation by Kim Jung-so at the Naval Postgraduate School in Monterey, California deals with North Korean psychological operations in both the North and South and mentions the Pueblo incident three times; never in relation to the succession of Kim Jong-il. If . . . [South Korean President] Lee was worried about the situation — which his new defense minister called “the most serious crisis” since the Korean War — his travel schedule did not reflect any panic: The president’s office said Friday that he will visit Malaysia and Indonesia next week. As we might all hope, the UN Security Council is doing its usual fine job vis a vis the minor skirmish possibly developing in Korea. At last report, a unanimous decision had been reached on whether to serve coffee or tea at the next meeting (date to be negotiated further); it was tough, but after hours of calm discussion the tea drinkers finally prevailed. Nevertheless, here is an article by an obviously war mongering blogger suggesting that the U.S. send in the Raptors (to Korea, not the UN). Lest anyone be confused, raptor is the name given to many long extinct somewhat bird-like reptilian life forms.